New Caribbean Cinema | New Wave. New Styles. New Directors. New Wave. New Styles. New Directors. 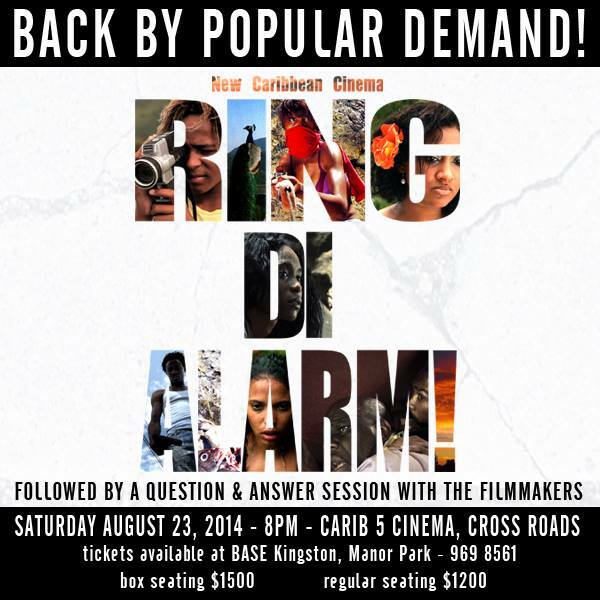 The buzz is on in Kingston with just a few hours to go till our second screening event for Ring Di Alarm! After last week’s sold out and amazing premiere we absolutely had to create another opportunity for the folks who missed out, we APPRECIATE your overwhelming support! So to ring in the pending second round we have a few vids from the premiere night as well as our final Director Vid number 6, featuring Nile. Enjoy! Talk bout Tuesday! Ring Di Alarm back in cinemas August 23! In the meantime between time, the GREAT news is we are back in the cinema this Saturday August 23 for a repeat screening and this time we will have an extra special Q&A for any and every one with questions about our process from start to finish, as we strive to create a collaborative communal inspired and independent Caribbean cinema. Bless up! Director Vid #5 featuring the indomitable Joel Burke! Every team has an MVP and Joel Burke is undoubtedly ours. You know, that person who works hard behind the scenes to make sure the tech details are right, and whose presence on a film set is all you need to know that your back is covered. Here’s our penultimate Director Vid featuring Joe Bizzle, fo shizzle! Joel is the director of “My Vote”, one of the 7 chapters in RING DI ALARM! 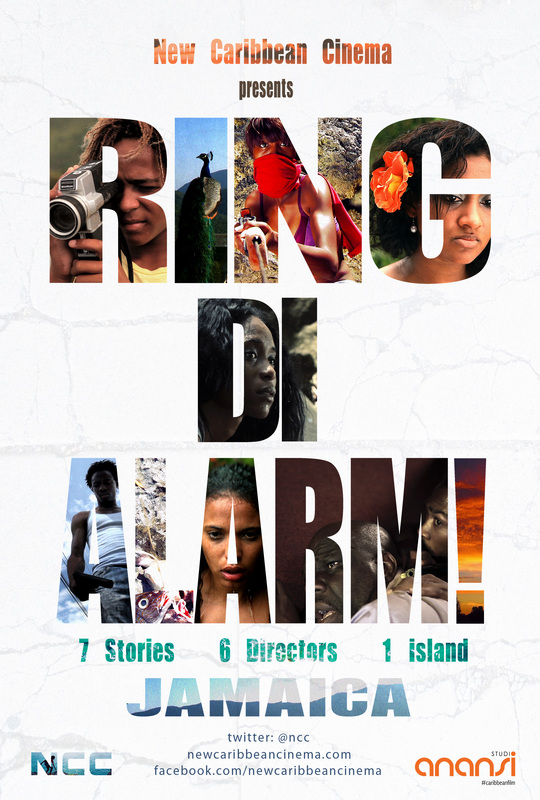 This is the 5th in a series of interviews leading up to the Jamaican Premiere of RING DI ALARM – Tonight at 7pm @ Carib 5 Cinema! New Caribbean Cinema & Studio Anansi present THE DIRECTORS: MICHAEL “RAS TINGLE” TINGLING. Ras Tingle is the director of “Parish Bull”, one of the 7 chapters in RING DI ALARM! This is the 4th in a series of interviews leading up to the Jamaican Premiere of RING DI ALARM on August 13, 2014. JUST 1 DAY TO GO! Wednesday’s RING DI ALARM premiere is SOLD OUT! We give thanks for the overwhelming response to our film premiere which is totally SOLD OUT! For those of you who weren’t able to purchase tickets on time but are still interested in seeing the film on the BIG SCREEN…message us on our –>FACEBOOK PAGE <– and let us know names and numbers. We are working hard on an EXTRA SPECIAL screening, just for YOU. We TRULY APPRECIATE your SUPPORT! Check it out check it out! New Caribbean Cinema & Studio Anansi present THE DIRECTORS: STORM SAULTER. Storm is the director of “Watching Him Kissing Her”, one of the 7 chapters in RING DI ALARM! This is the 3rd in a series of interviews leading up to the Jamaican Premiere of RING DI ALARM on August 13, 2014. JUST 3 DAYS TO GO! Get your tickets and SUPPORT local cinema! …and in the meantime between time, we will be rolling out our director vids in the lead up to the event. Here is vid number 2, featuring yours truly…girl director in da house! In more news from NCC … we have a TVJ interview lined up for tomorrow at 6:50 am with Kyle Chin and his main man Winston ‘Bello’ Bell, with new clips from the film SUNDAY. Check out this vid of Kyle in our Directors on the Real as he talks a bit about his process and the making of SUNDAY. BIG NEWS!!! NCC inks DISTRIBUTION deal with NY based STUDIO ANANSI! collective of filmmakers celebrates their latest victory in cinema. Brooklyn, New Jersey and the greater Tri State area. Base Kingston at a price of 1500 JMD. Trivia, Press, Videos and other Goodies for Ring Di Alarm Premiere August 13! Also check out this vid created by their videographer and aspiring filmmaker Joel Williams and come out August 13 @ 7pm to support local independent cinema! I IN DAT! !SIGN ME UP! !